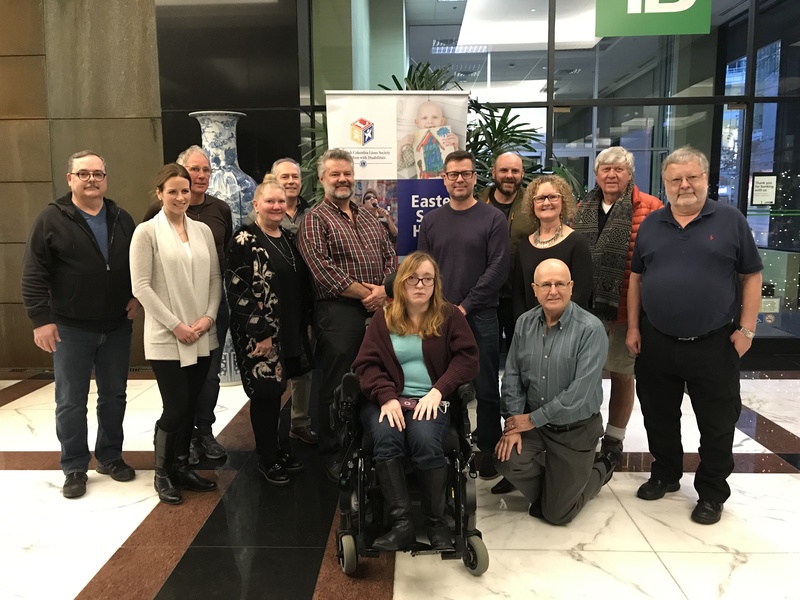 Boosting representation from across BC and the Yukon, five new Directors have joined Easter Seals BC/Yukon and the British Columbia Society for Children with Disabilities (Society) effective December 2018. Joining 11 existing Directors, Dana Siddle from Vancouver and Marie Burgoyne from Victoria are two new Community Directors. Sharon Hansen from North Vancouver, Wanda Carissee from Kamloops, and Todd Medd from Pemberton, are three Directors from their local Lions Clubs. In addition to the five new Directors, the Society’s existing directors consist of community members Tracy Lakeman (Chair) from Richmond, John Mould (Secretary) from Maple Ridge, Aaron Stewardson (Treasurer) from Vancouver, Randy Nobbs from North Vancouver, John Davies from Sooke, and Deborah Ryan from Whitehorse. Lions Clubs members include Kirk Duff (Vice Chair) from Castlegar, Bob Ayotee from Kelowna, John Moralek from Langley, Rob Dalton from Port Alberni and Rod Giles from Creston. Photo: From L to R – Back row: Kirk Duff (Vice Chair), Rod Giles, Randy Nobbs, Tony Medd, Robert Dalton. 2nd row: Dana Siddle, Sharon Hansen, John Davies, Aaron Stewardson (Treasurer), Tracy Lakeman (Chair), John Mould (Secretary). Front row: Marie Burgoyne, Robert Ayotte. Absent from photo: Wanda Carisse, John Moralek and Deborah Ryan.